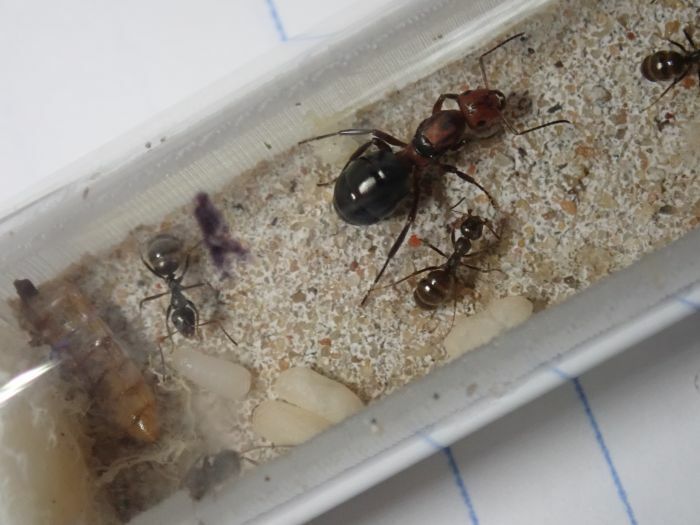 Yesterday I did some trading and got a Formica obscuriventris queen with 6 host workers. 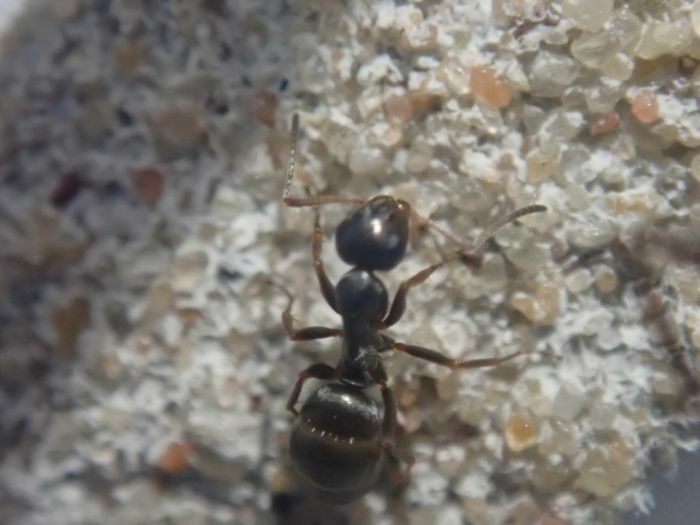 I think the workers are F. subaenescens, but they could also be F. subsericea minors. 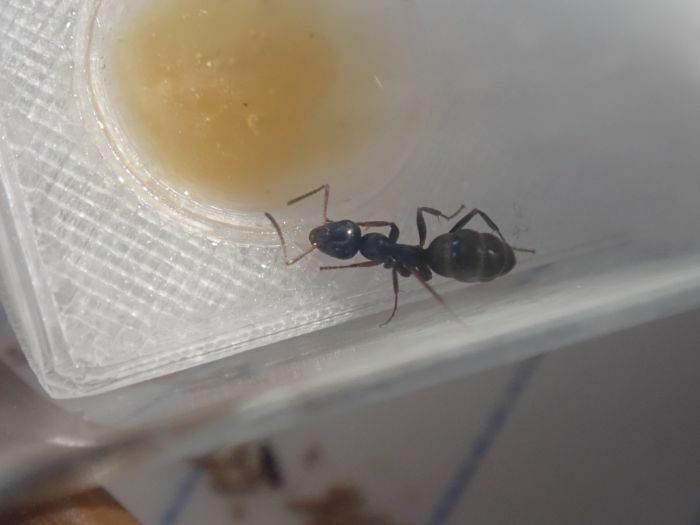 The colony doesn't have any brood yet, but they're all acting healthy and the workers are very attracted to and protective of the queen, which is a good sign. 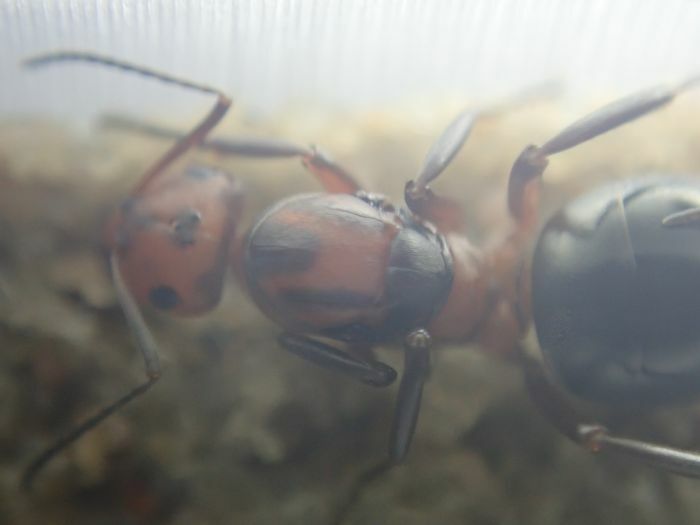 The F. obscuriventris queen is really beautiful. 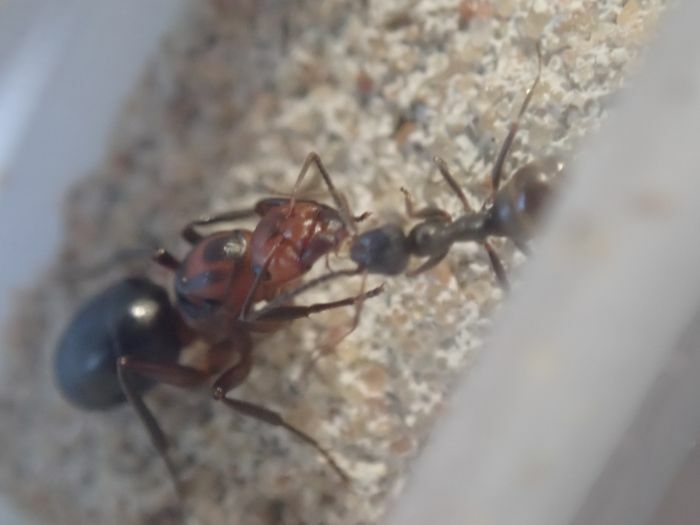 Her abdomen is shiny black and her head is mostly red with black around ocelli and the antennal scrobe (I think that's what it's called). 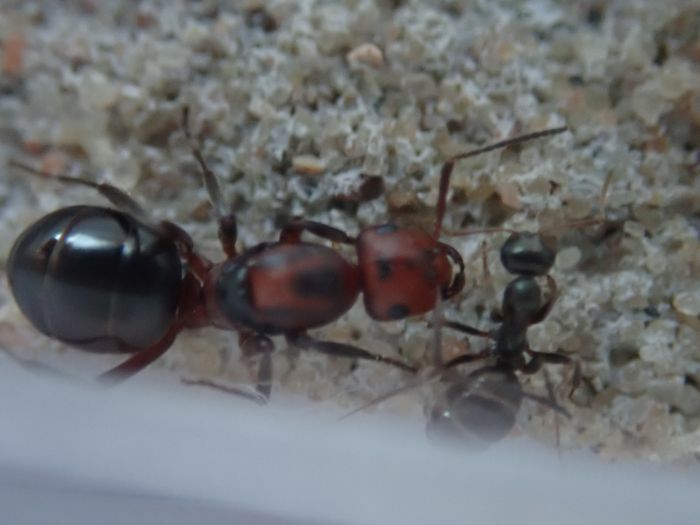 But my favorite part is the red and black pattern on the thorax. I also like how the legs fad from red to black. Nice! 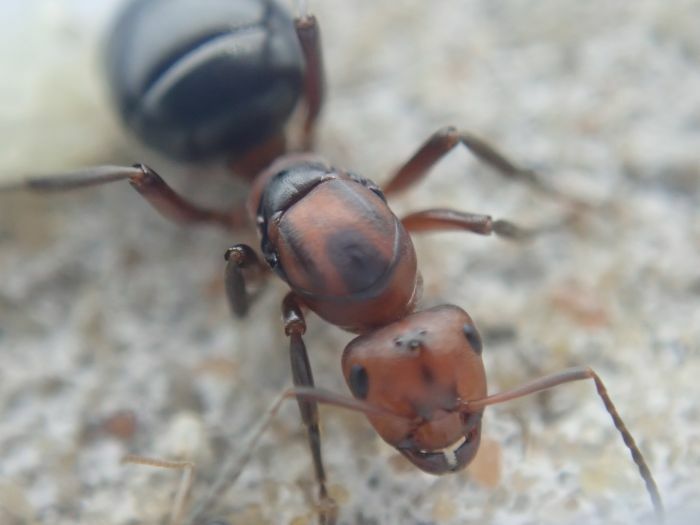 I find these ants where i live but sadly i can't find any queens. 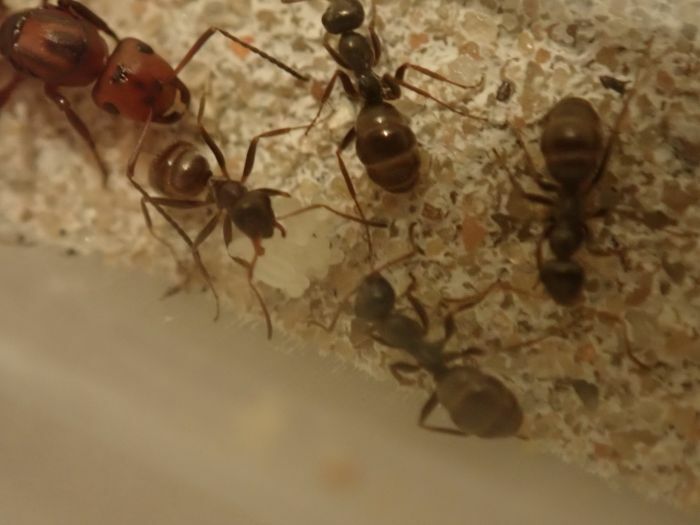 But our area is overrun with formica aserva though. 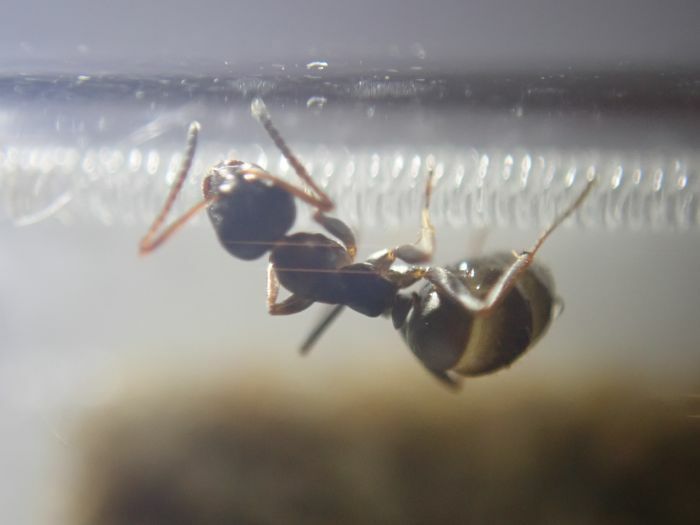 The workers and queen are acting even more connected as time goes on, which is good. Still no eggs yet, but I have been feeding them fruit flies and fruit fly larvae, so hopefully eggs will come soon. I really hope the queen is fertile. I count three so far. 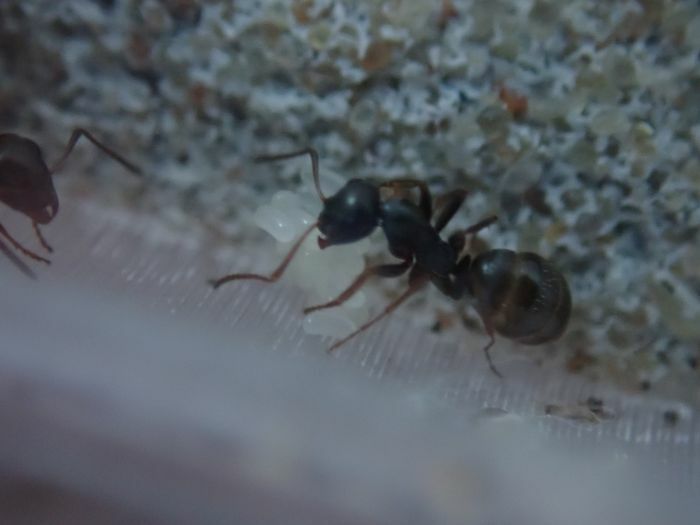 Each egg has a worker "assigned" to it who constantly holds it and cleans it. 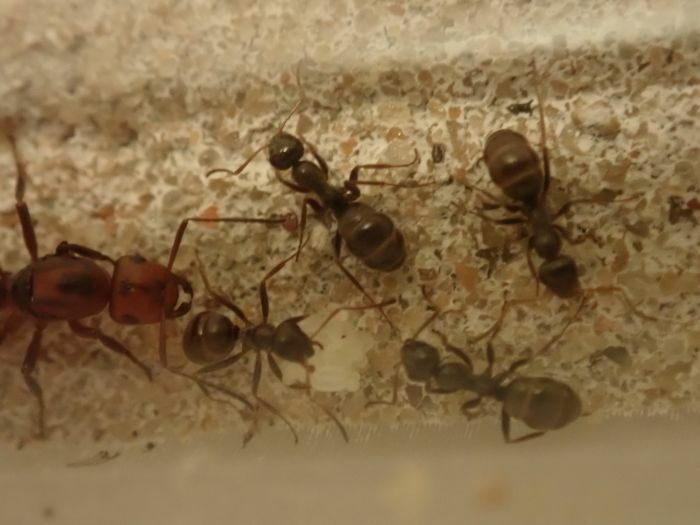 The three egg-holding workers are huddled together close to the queen. I'm really excited for them. They now have about 15-20 eggs sitting in a pile. They all look healthy. 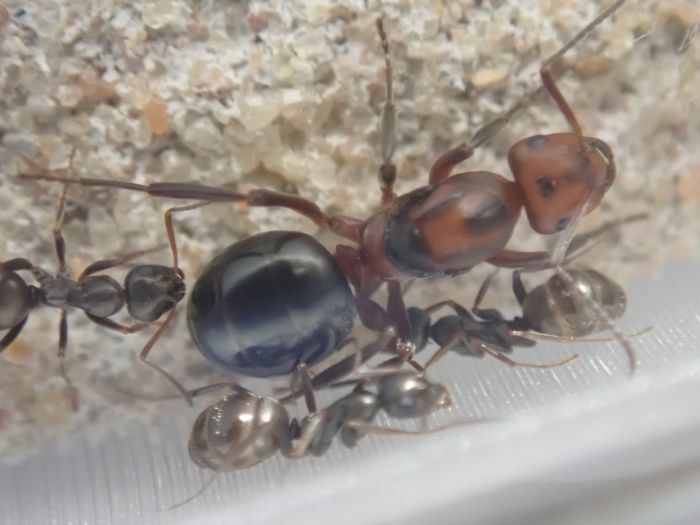 I'm really excited about this colony. I'm doubtful of her identification. 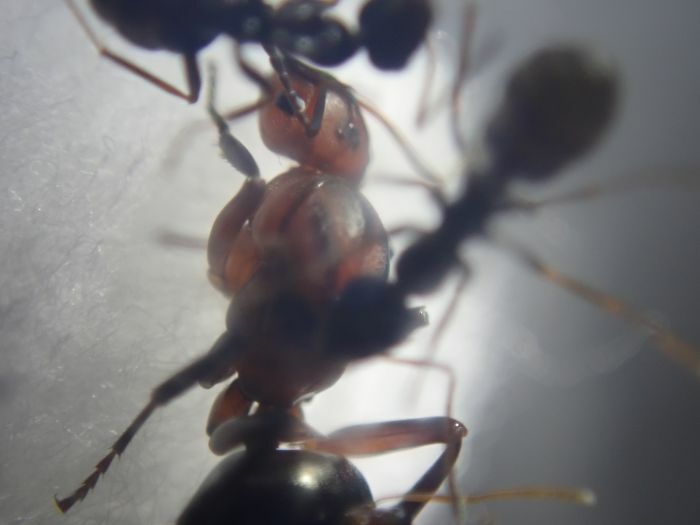 With so, so many parasitic Formica spp. 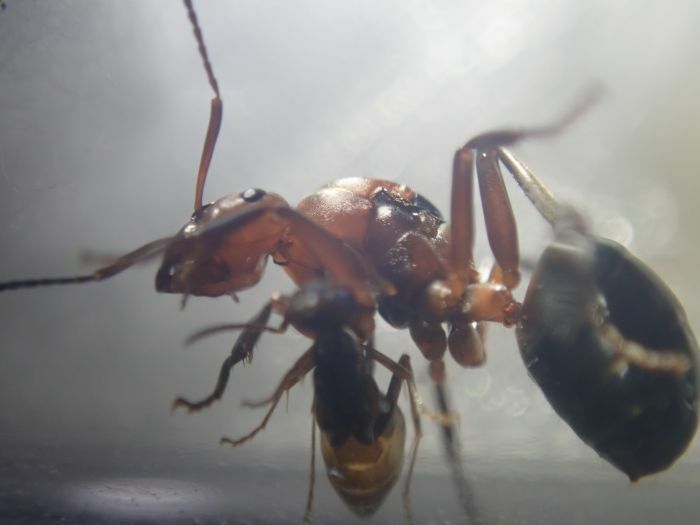 in the F. rufa group, I wouldn't be so quick to call her F. obscuriventris. To me at least, she looks too small and glossy to be them. I would suggest to revise her identification once she gets her second generation of workers. Edited by AntsBC, January 29 2019 - 5:18 PM. More and more eggs. About 30 now. I fed them a small cricket head, which they were eager about. Some photos from a few days ago. 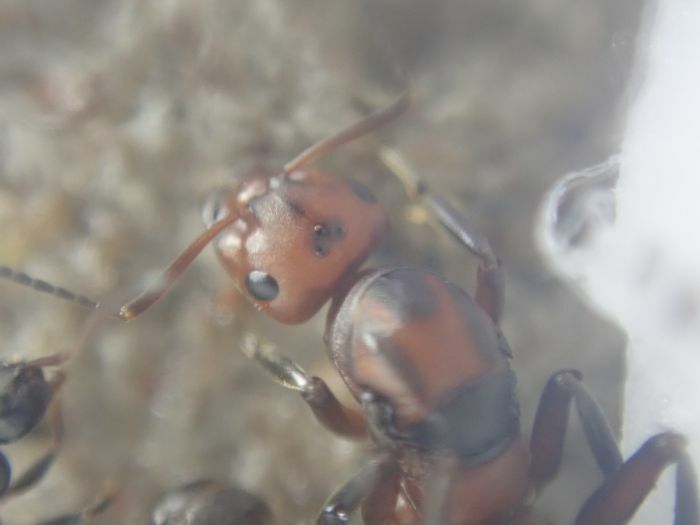 I fed them some Sunburst nectar, and they drank until all the workers and the queen look like they're about to burst. Larvae have started hatching! They don't really keep their brood in pile, it's more like a ball. 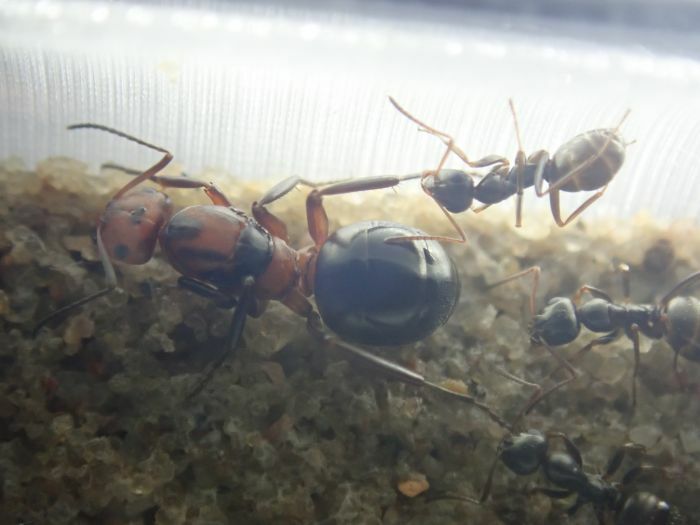 Their ball of eggs and small larvae is almost as big as the queen. And now we've got some mid-size size larvae. There's about 3 mid size larvae, 5 small-med larvae, and 5 small larvae, plus like 10 eggs. 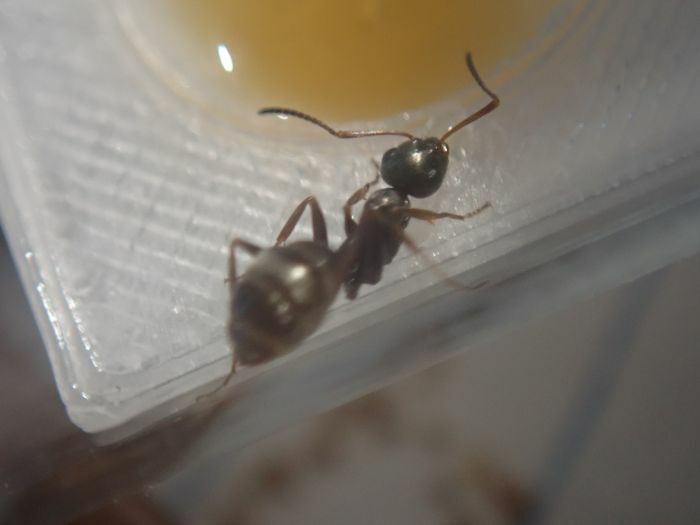 I'll looks like most of the eggs the queen laid were trophic eggs and were eaten by the larvae. They have their first pupae! It's a bit smaller than I expected, but I'm still excited. 3 pupae at the moment. 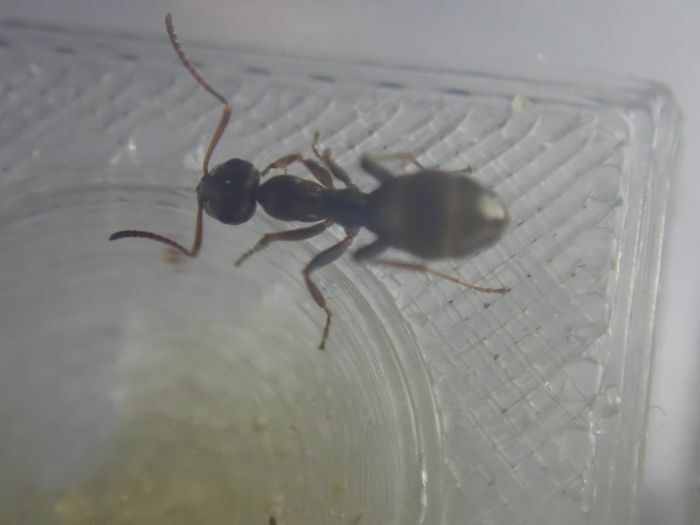 And we have our first obscuriventris worker! She's still super pale and hasn't even fully uncurled. 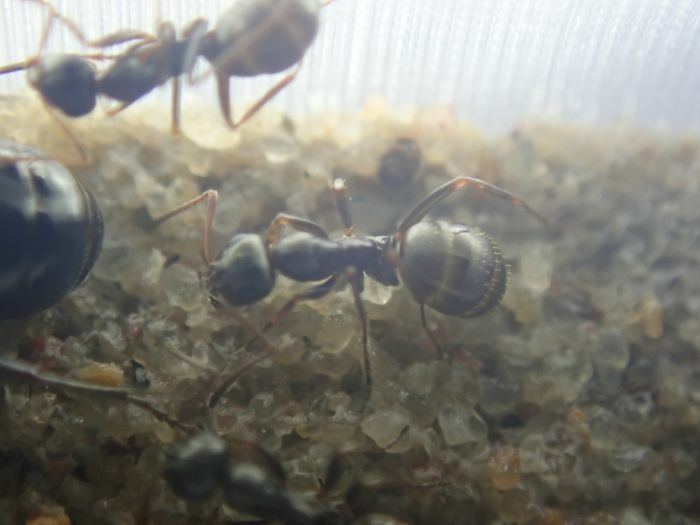 The host workers are constantly cleaning and helping her wake up. I'll add photos once her pigment comes in. 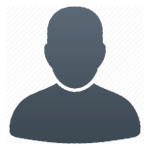 The other ones should follow soon! Congrats! 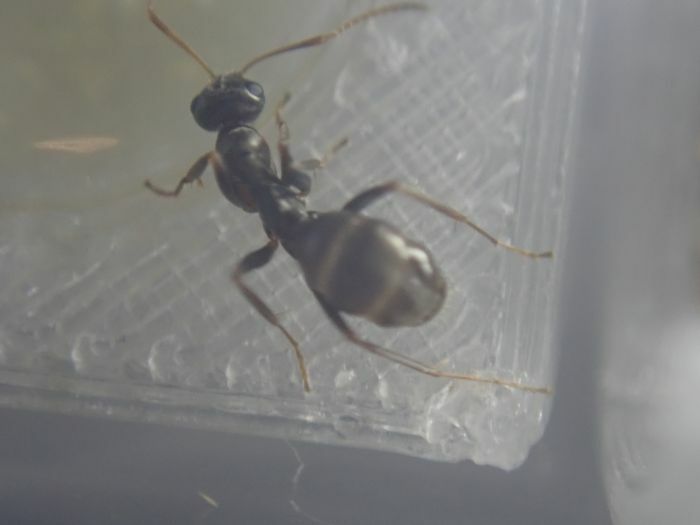 I have been keeping Formica for almost three years, and still haven't gotten a parasitic colony to get past larvae. 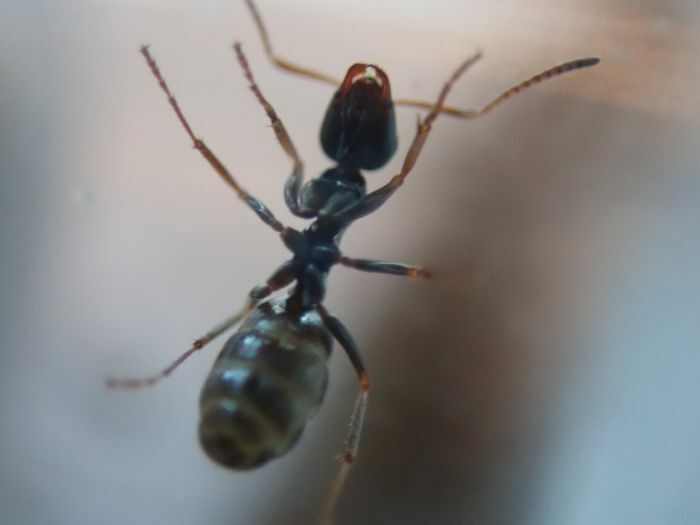 The parasitic worker or starting to walk around, although very clumsily. She's still lacking a lot of pigment, but I can already see that her gaster is pretty dark compared to the rest of her. 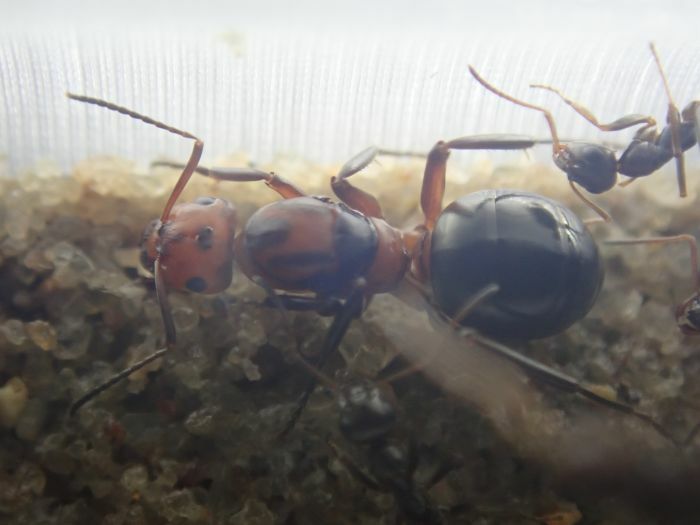 These have similar coloration to the Acromyrmex species.